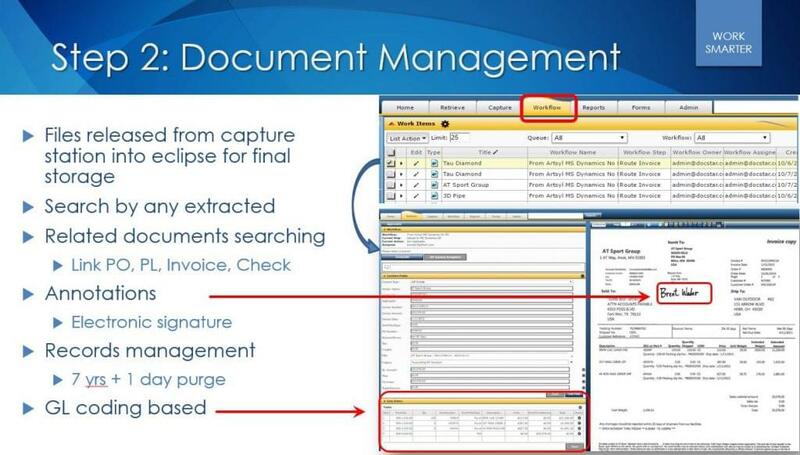 Far too many companies that use GP/NAV do not know about the power of content management based capture solutions to augment and reduce manual data entry labor. 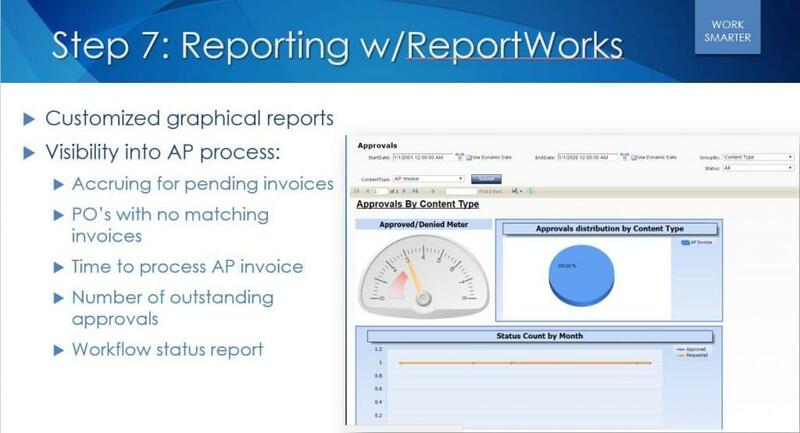 Accounting based tasks such as AR/AP are riddled with inefficient manual processes specifically when 90% of all business transactions are still received on paper or email. 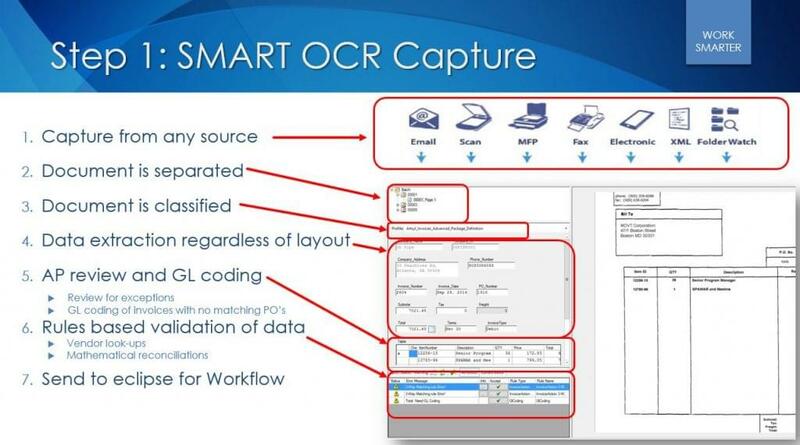 Its 2018-the technology exists and is affordable to automatically extract high value data through advanced OCR, compare to receiving and PO data in GP/NAV which then allows multiple downstream processes to initiate such as approval and exception routing as well as ultimately pushing the data into GP/NAV as a voucher or inventory receipt. Customers take advantage of early payment discounts, visibility into process status, accruing for pending AP transactions, storage of documents for related searching and compliance, and most importantly hard cost labor savings of up to 75%. For example, organizations with four (4) AP clerks and 24,000 invoices per year, we project an aggregate 5 years’ savings of ~$921,600. 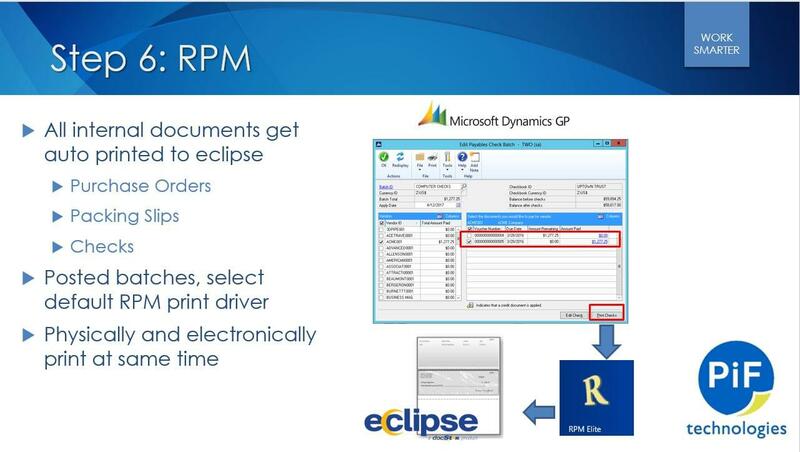 While PIF Technologies actively works with many ERP systems, Microsoft Dynamics GP/NAV data integration and involvement in the GPUG community is a paramount focus. PIF supports other Dynamics products such as AX, and SL in a similar fashion. 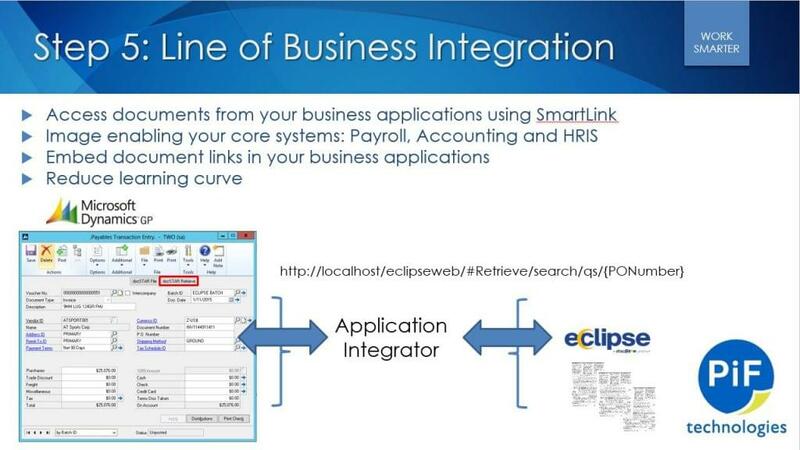 The solution incorporates multiple “integration” points-as integration can mean a lot of different things. First, during the DocStar capture and validation steps, the master vendor file, GL codes, address ID, distribution type, payment terms are synch’d with GP/NAV to ensure errors are not encountered on import. 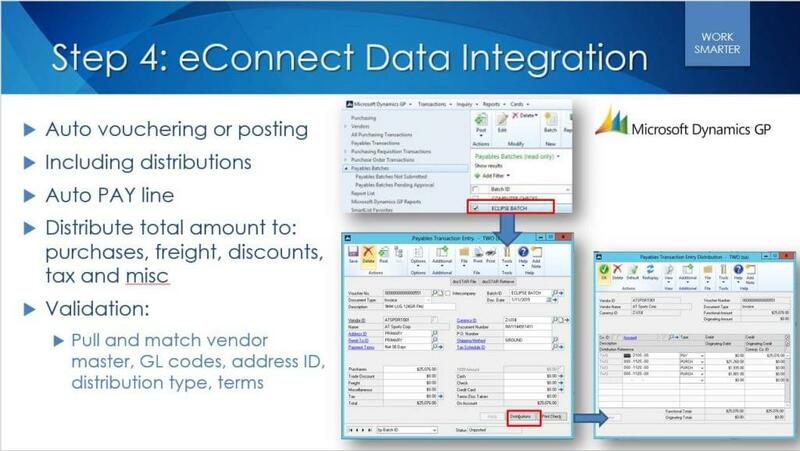 Second, data captured by PIF will be matched and validated against the GP/NAV pulled data, and then upon final approval, the data is pushed to a pre-configured GP tool called eConnect and NAV through XML/Data Ports and CodeUnits. Stored procedures built into the DocStar workflow module allow for data to be validated before vouchering or receiving invoices. 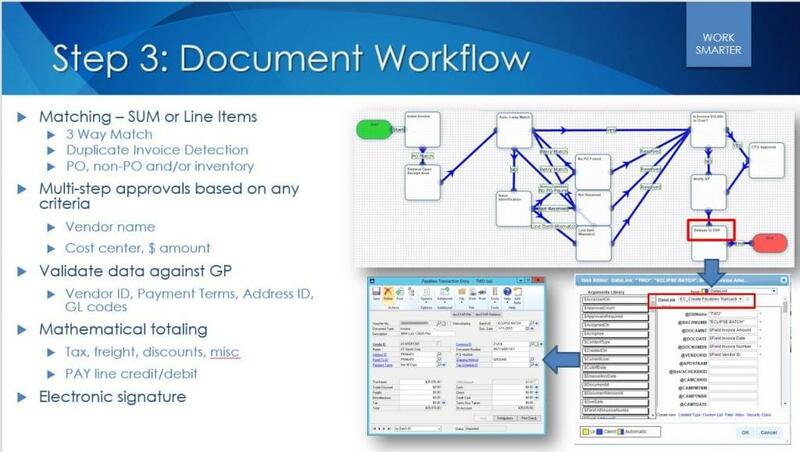 Any line item data within DocStar is automatically totaled to ensure it matches the total invoice amount. Header items such as tax, freight, discounts and misc are automatically calculated and the associated PAY line is added to the line items to ensure a proper debit/credit for distributions. Based on the customers requirements, AP invoice data can be matched at the sum or line item level with purchase orders or receivers. Any errors such as duplicate invoices, invalid vendor ID, during the vouchering process will be clearly displayed in the workflow section. Third, the ability to embed a button within the GP/NAV interface to allow AP clerks to see matching documents in DocStar. This is done utilizing standard GP/NAV functions in the Add/Modify forms capability and Object Explorer interface respectively within the GP/NAV administration screen. PIF Technologies offers out-of-the-box integration with Dynamics GP 2010-2015 and Dynamics NAV (2016) and depending on inventory, po or non-po based processing, we will cater our solution to meet your specific requirements. Here is a break down of the core components to the solution.